7500+ publications from 100+ countries in 60+ languages all at your fingertips. No matter the time of day or night, order your in-suite dining at the touch of a button. Browse the ESPA treatment menu, request an appointment and have your post-treatment items ready for pick up on your way out. 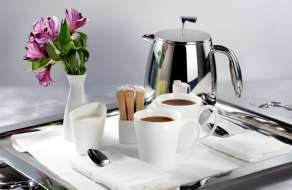 Have floral packages delivered right to your room, view the latest news and request information directly from the concierge. With a beautifully designed, user-friendly interface, you can now easily reserve show and event tickets that will fit in perfectly with your plans. With world-class restaurants just steps away at ARIA, you can now view them all on your tablet and easily make a reservation. Order your ESPA products and pick-up at the spa or purchase that cozy robe to continue your escape at home. As a visitor or guest at Vdara, you’ll get access to over 7500+ publications from 100+ countries in 60+ languages all at your fingertips. Find many top international titles, like The Washington Post, Forbes, NME, In Touch, The Guardian, Bloomberg Businessweek, Vogue, GQ and more. Pressreader is a fully interactive platform, with translation, audio, collections, opinion trends, social media sharing, and customized screen views. PressReader is complimentary for all of our guests. 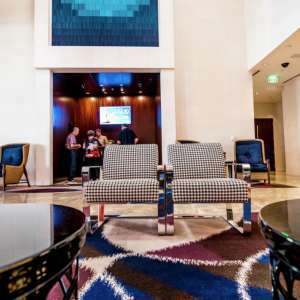 Any guest visiting our hotel will have access to the entire PressReader catalogue for as long as they're connected to our Wi-Fi Network. Guests will also have 3 hours of extended access after departure. PressReader supports many different devices and operating systems including Android, iOS, and Windows. 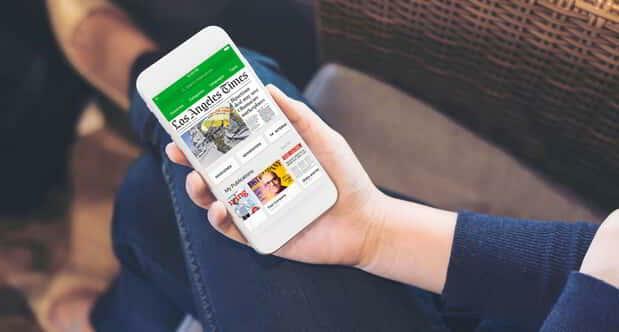 The PressReader app interface supports English, Traditional Chinese, Korean, French, Arabic, German, Italian, Japanese, Norwegian, Portuguese, Russian, Spanish, and Turkish. You can also instantly translate some content to up to 18 languages, while you have an active internet connection. Any hotel guest will have complete access to the entire PressReader catalogue for as long as they’re connected to the WiFi network. Once you’ve activated your free access period and you see a welcome screen, you’re ready to start downloading. Close the welcome screen, then tap on Publications to view the PressReader catalogue. Experience the exquisite facilities at ESPA at Vdara equipped for an unrivaled retreat and a full day of pampering. 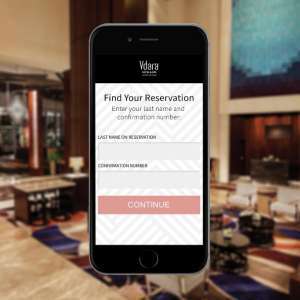 The Concierge at Vdara can assist with anything from show and restaurant reservations to placing you first in line for any other entertainment options. Check in up to 24 hours prior to your arrival, and once you receive the confirmation email, just pick up your keys from our dedicated Mobile Check-In Desk.